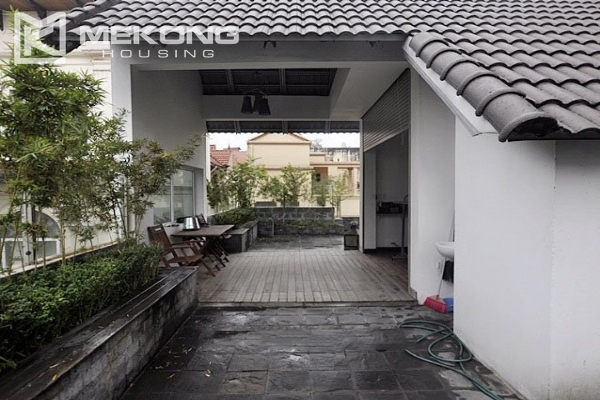 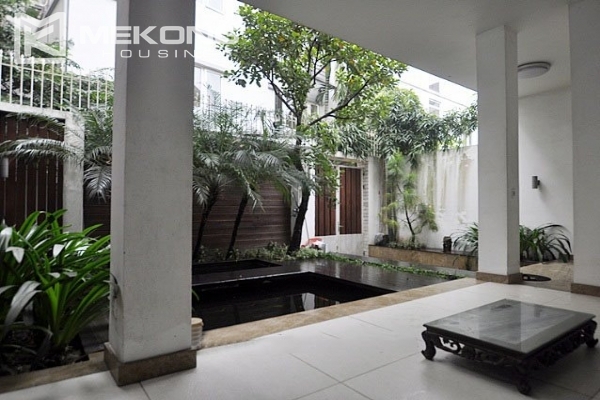 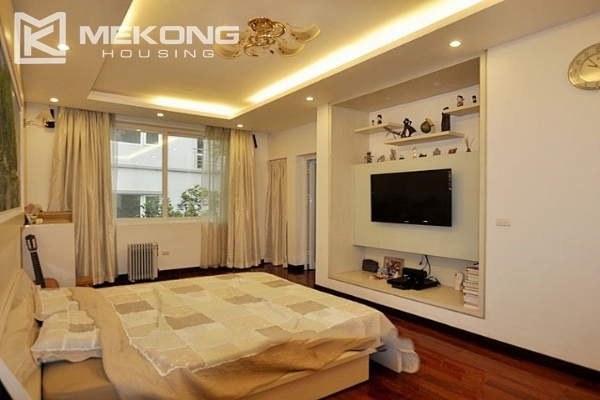 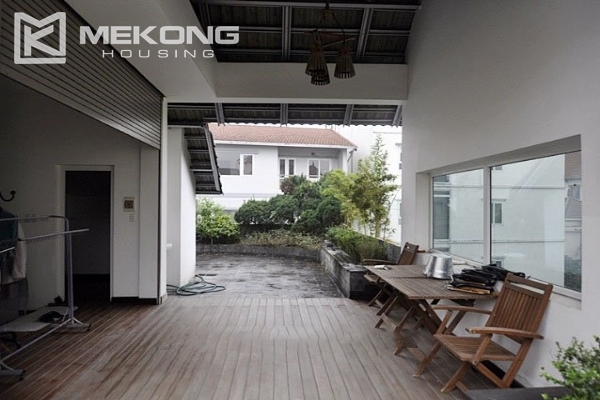 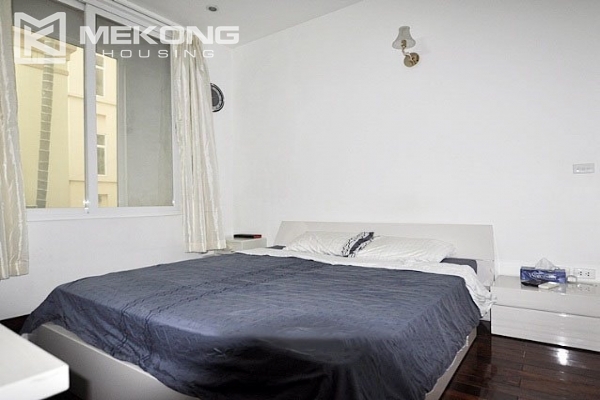 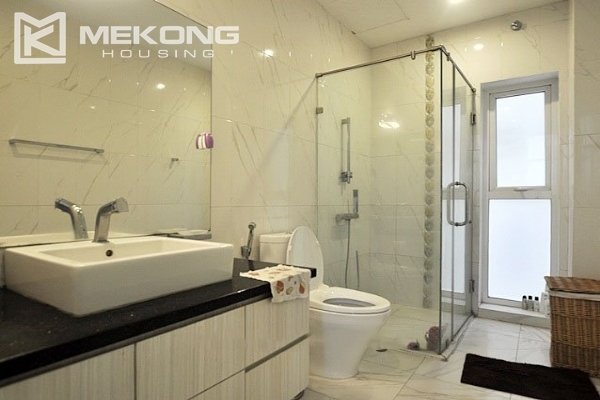 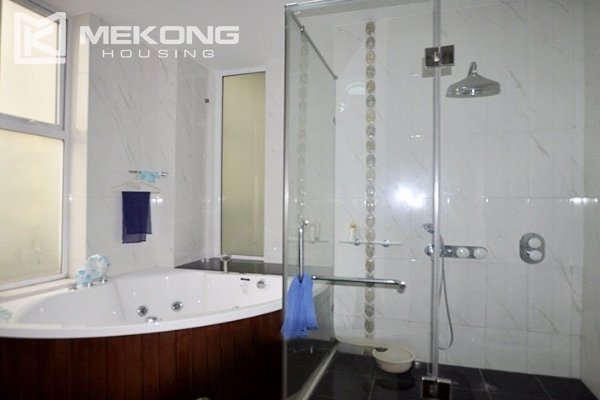 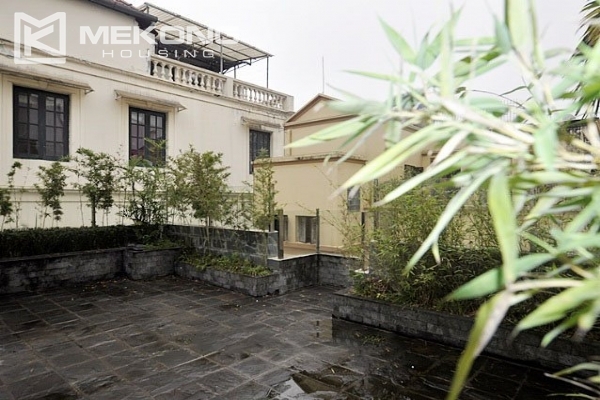 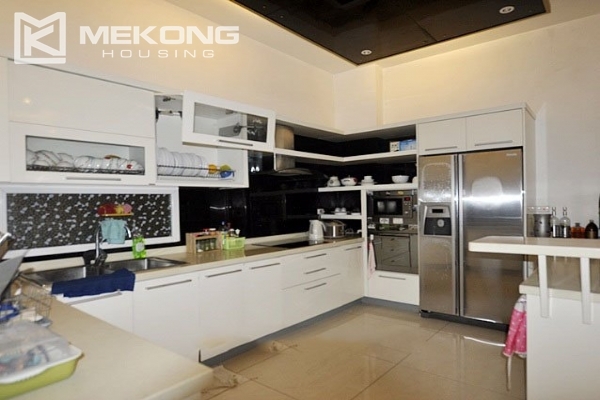 This rental villa is located in a quiet area of Tay Ho district, close to West Lake. 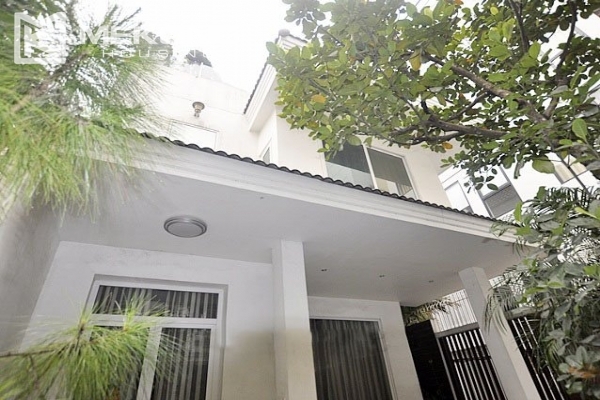 Total land area is 200 sqm, composed of a spacious living room, a well equipped kitchen, 4 cozy bedrooms, and 4 bathrooms with modern fittings. 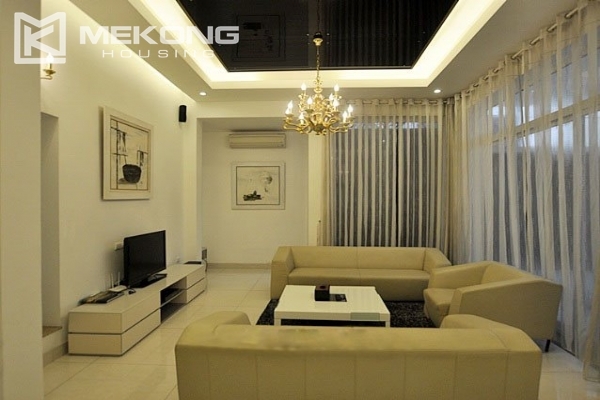 The villa is located in a quiet and safe neighborhood, within walking distance to shoppinmg mall, the lake is about 2 minutes walking distance.